We do need to talk about boards, as The Stage said this month, and we may need to do some things too. But are we in a ‘governance pickle’? Arts Council England examined the business plans of its portfolio in more detail than ever before for this challenging funding period. That told us organisations are under huge pressure, but most are resilient. For much of this, we can thank committed trustees who expose themselves to risk and give their diligence and skill free of charge. But future storms may expose more vulnerable organisations and governance could be strengthened in several ways. Our research shows nearly 40% of organisations lack confidence about investing in new technology and a similar percentage are worried about lack of business planning for the next decade. More than 60% say they lack good succession plans, which begs the question: how well equipped are chairs – in particular – to manage issues such as executive under-performance or clashes between artistic and executive leadership? With governance, the conversation often starts with fiduciary requirements then gets stuck. While we must ensure all trustees, not just the accountants, are equipped to ask difficult questions about the accounts, we need to move beyond the statutory requirements to address organisational strategy and culture. There is no one answer to how a board supports an organisation’s mission and aims. The Royal Opera House can’t prosper without people who give and understand giving. But an organisation such as Geese Theatre, whose income comes from public-sector commissioners, needs different expertise. Boards must be able to shape strategy and, if necessary, make big decisions about changing the business model. They have a vital role visibly supporting organisational culture. It is said that what gets measured gets done. But what the chair and executive prioritise also gets done. And which boards lack capability? The groupthink ostriches with their heads in the sand. This is why the Arts Council will keep banging on about diversity and inclusion until power has shifted and more new faces are at the top tables with equal status. It is the right thing to do to ensure high-quality decision-making and it is the right thing for our society. The Arts Council offers guidance and support for innovation such as Artistic Directors of the Future’s Yorkshire Edition, working with five producing theatres to diversify their trustees. 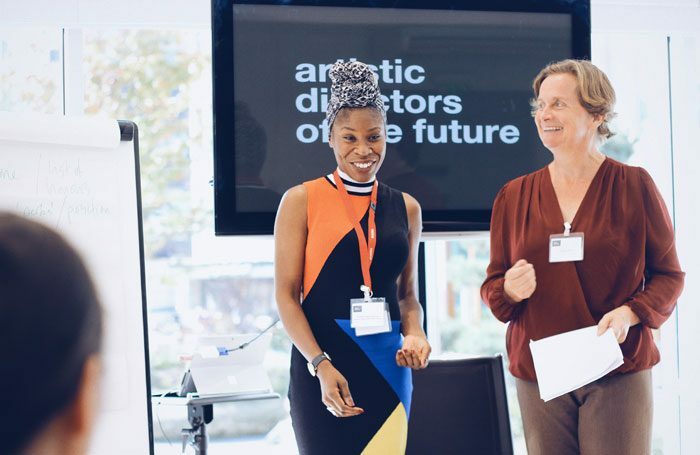 We are partnering with others, including UK Theatre, to support the Cultural Governance Alliance, which held its inaugural conference last week. We are planning to invest in personal development of trustees and re-imagining the make-up of boards for the 21st century. At the CGA conference, many delegates said being a trustee pays off with the learning curve, not the kudos. Many boards are doing great work and are open to investing in their development. We are there for them and we are grateful to them.